I have been blogging about my diabetes and weight challenges for something like 8 years now. It is now time to put this weight behind me..: actually away from me all together and forever. I have consulted my doctor and at 285 pounds I am going on the 26 day HCG diet. Day 1-2 are the loading days. I should be able to handle these. 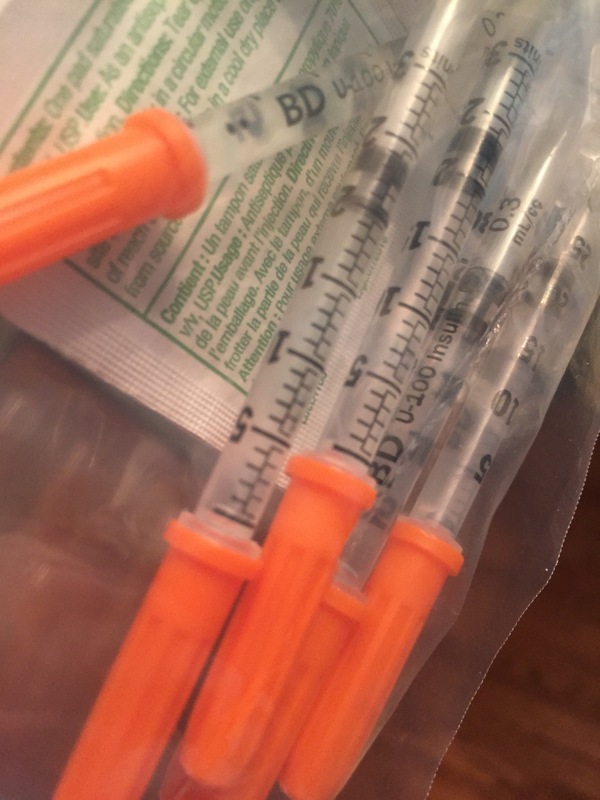 I have given 20 units of HCG (actually 200 units but we are using insulin syringes) and I must now eat everything bad… Stuff myself as full as possible with fatty foods. This is a very important step in getting through the first few days of what will soon be a 500 calorie diet plan. I am a bit nervous about my blood sugar. I increased my morning dose by over 20% Sinai hope that will help. I am going to start at McDonalds with a breakfast sandwich and a half dozen or so hash browns. Actually make that 2 breakfast sandwiches – ha! I will keep blogging and tracking my food, weight loss and blood sugars. My plan is to reduce my morning and night insulin from 32 to 8. That will be when Instart the 500 calorie plan. I plan on losing 30 pounds. My doctor does not want me to lose more than that in the first round. Actual goal weight will be 250 so that might be closer to 35 pounds on my scale from my current weight. The maintenance program after will allow me to keep the weight off while adding back in the calories. The whole process should help reset my metabolism and get my body burning fat again. I am excited… A lot nervous but ready to begin!